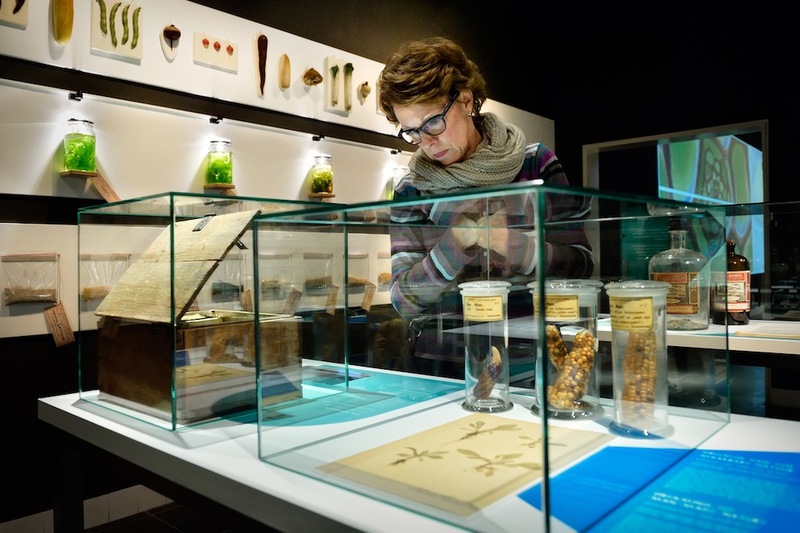 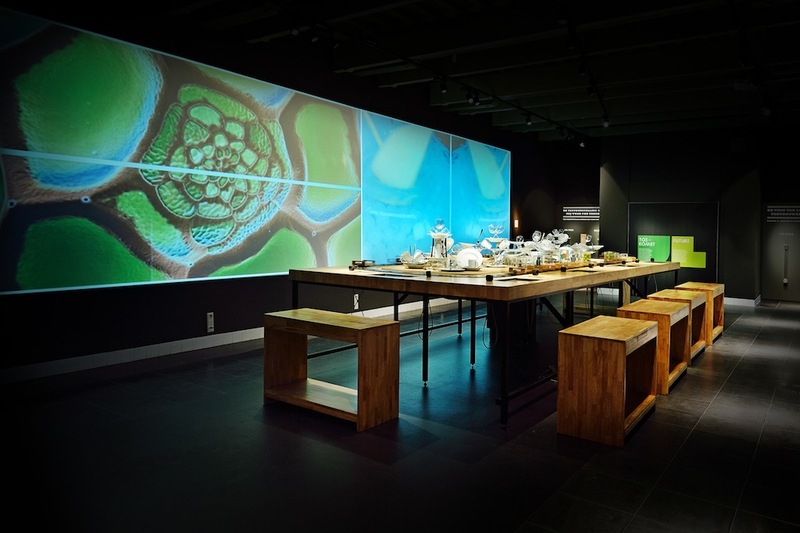 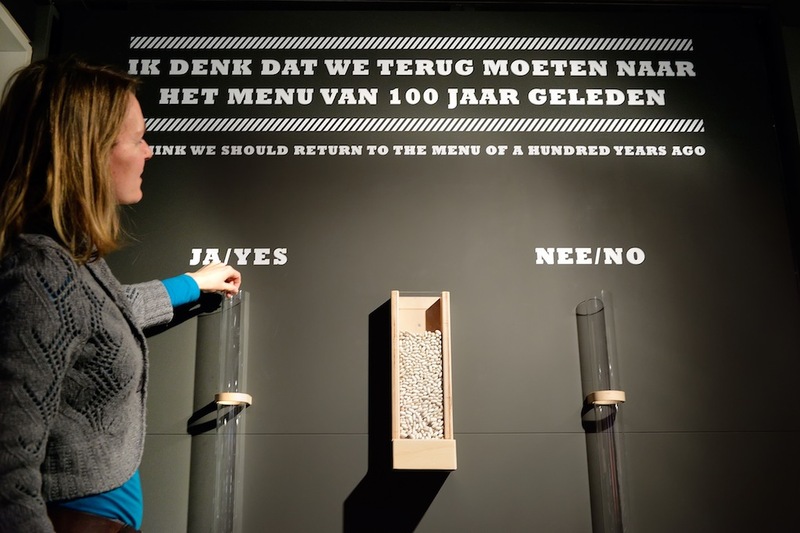 Tinker imagineers designed FOODTOPIA for the Boerhaave Museum in Leiden, an overview of over one century’s worth of food innovations in the Netherlands. 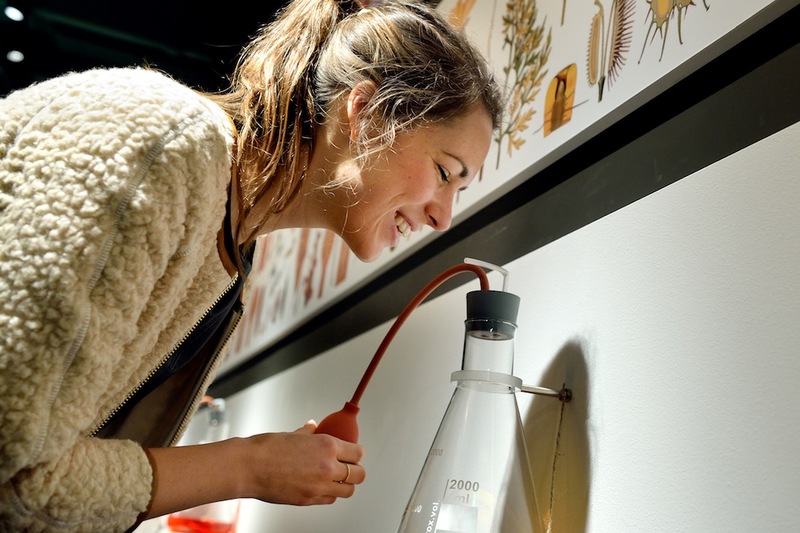 Food expert Louise O. Fresco, guest curator, shows exciting innovations for the future. 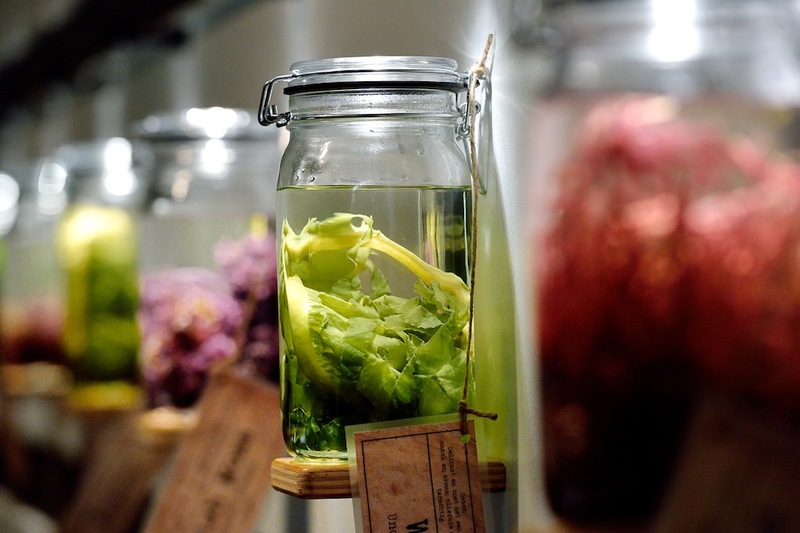 Ranging from algae appetizers to personal foods. 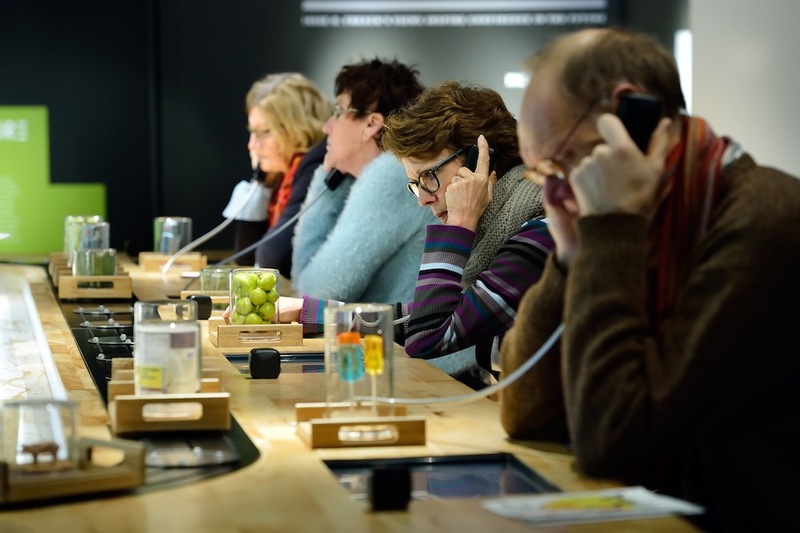 FOODTOPIA asks the question of how to provide 6 billion people with sustainable, high-quality food by the year 2050. 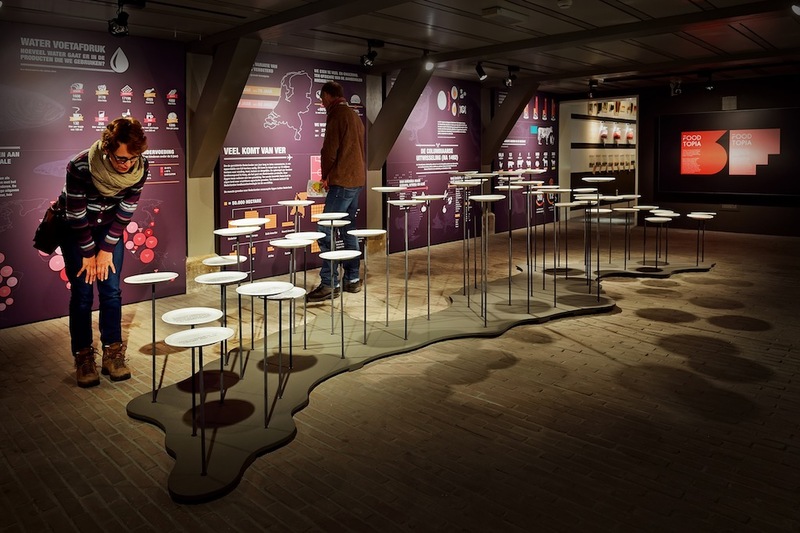 The exhibition presents food supply innovations in an accessible and attractive format thanks to the beautiful design, stimulating almost all of the senses. 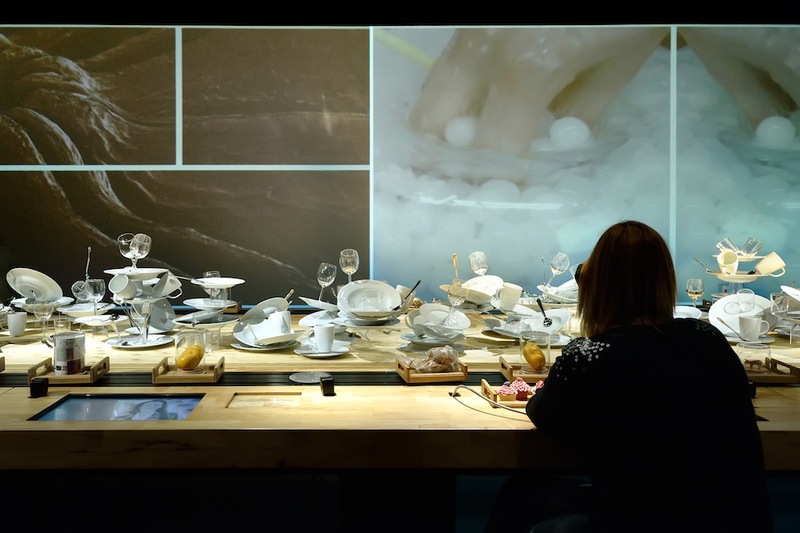 ‘Tomato seed costs €50.000 a kilo: it’s more expensive than gold.’ This and other factoids adorn an installation of balancing porcelain plates. 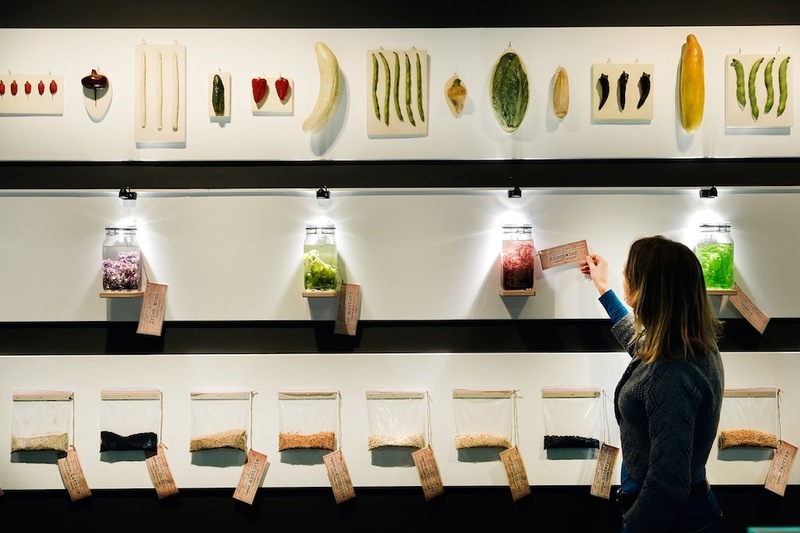 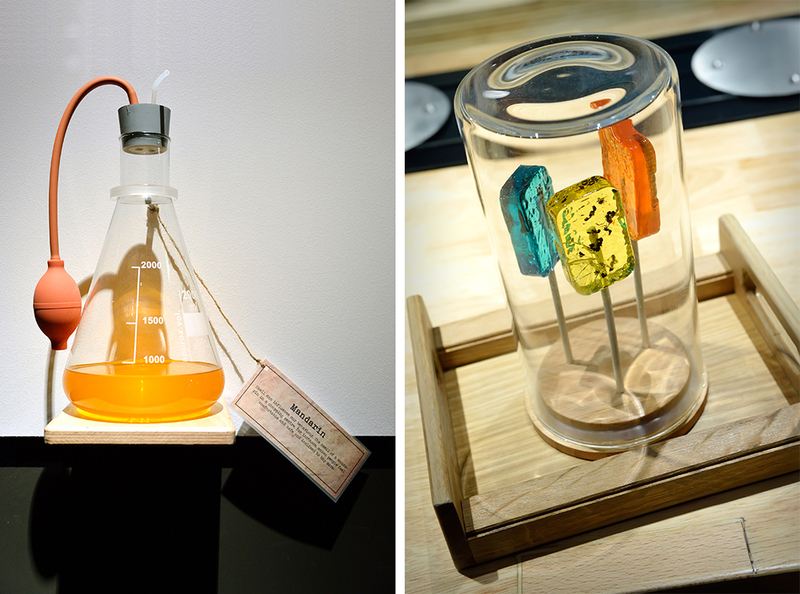 Innovations such as cultured meat, 3D-printed food, a camera that determines the freshness of fish, as well as the electro-ejaculator, space food and good old margarine are on display in the ‘food lab’. 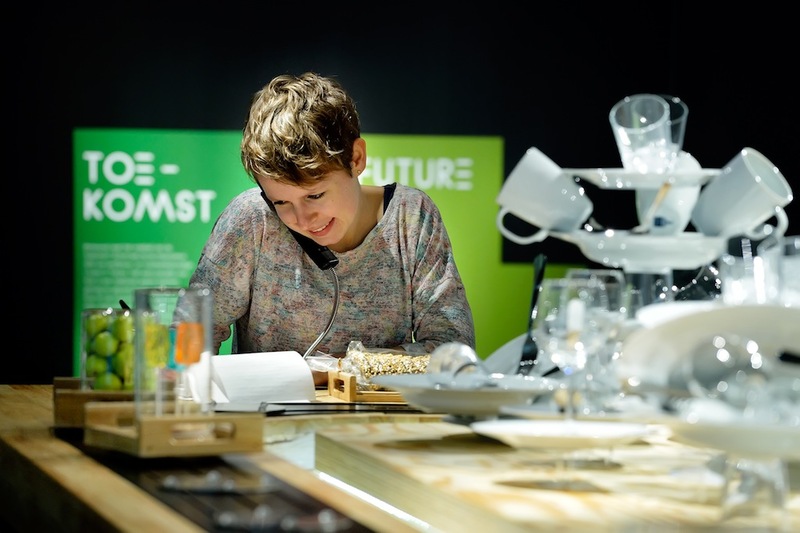 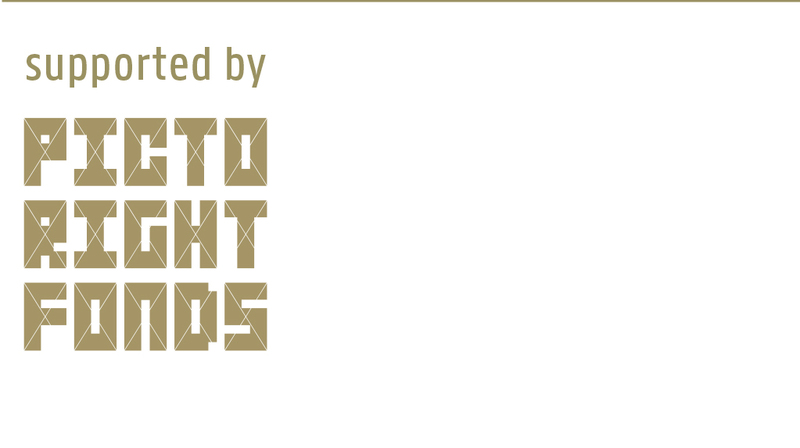 So what are the promising developments for the future? 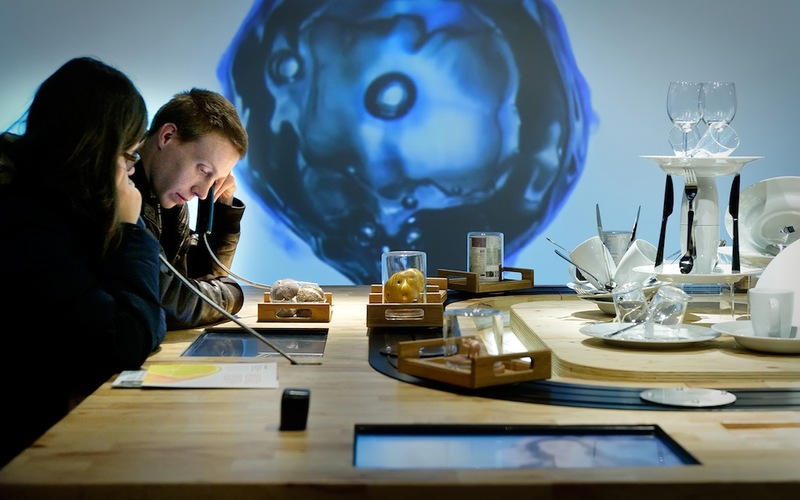 Sit down at Fresco’s interactive table and you’ll see trays with insect lollipops, potato seed and miniature robots roll by. 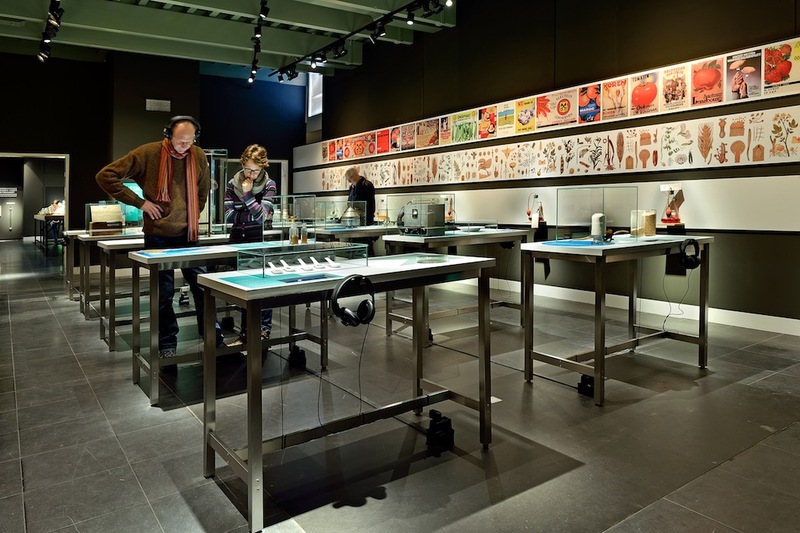 Take them off the conveyor belt and discover the story behind these innovations.